The Games on Demand version supports English Download the manual for this game by locating the game on http://marketplace.xbox.com and selecting “See Game Manual". Wear the suit of the ultimate assassin, you have the ability to blend into plain sight, kill with your bare hands and fashion a weapon from almost anything. 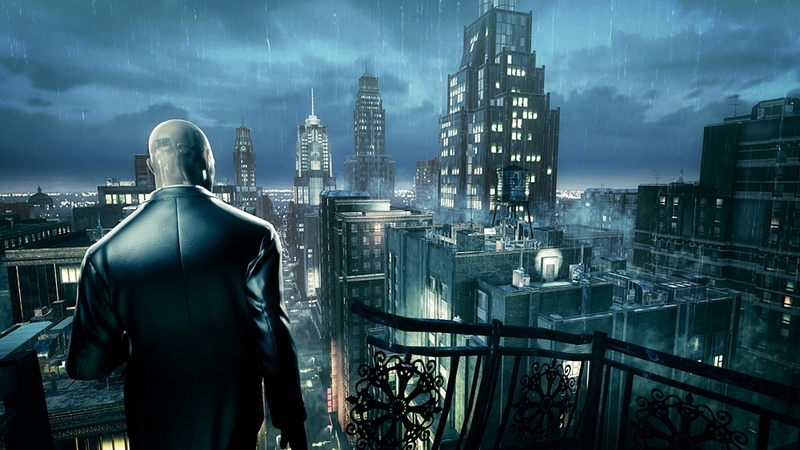 You are Agent 47, the world's deadliest assassin. 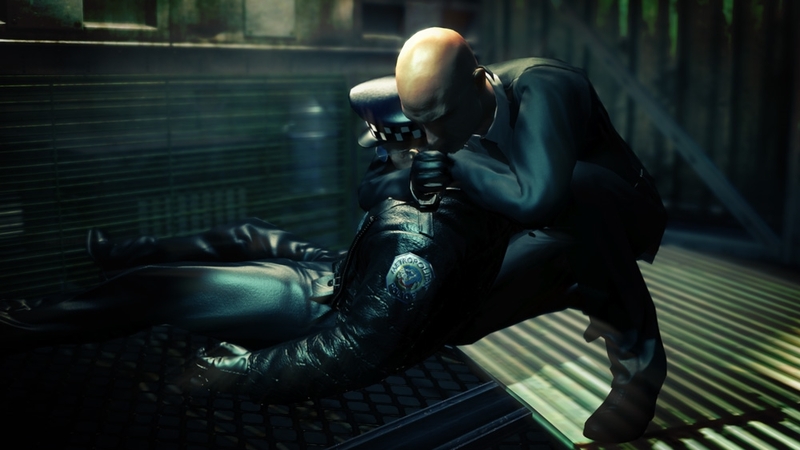 Download the FREE English language pack for Hitman Absolution and get access to the original audio recorded for the game. This download pack will add the ability to select ‘English’ audio in the Options menu. 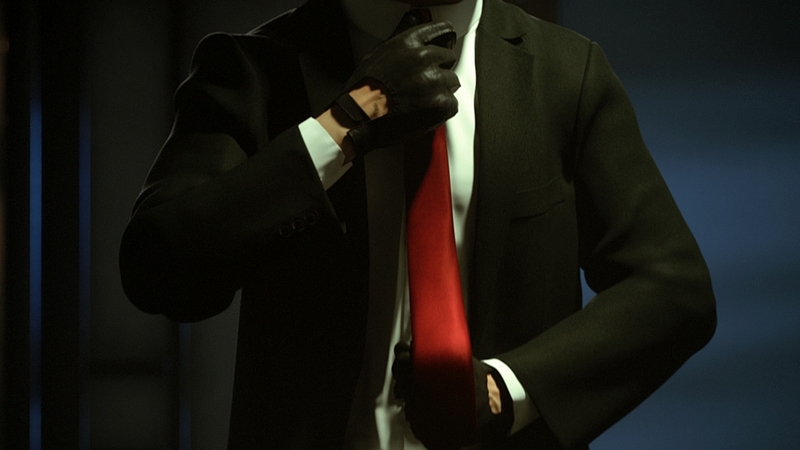 The Suit & Gun Collection gives you all the tools you need to complete your missions in style. 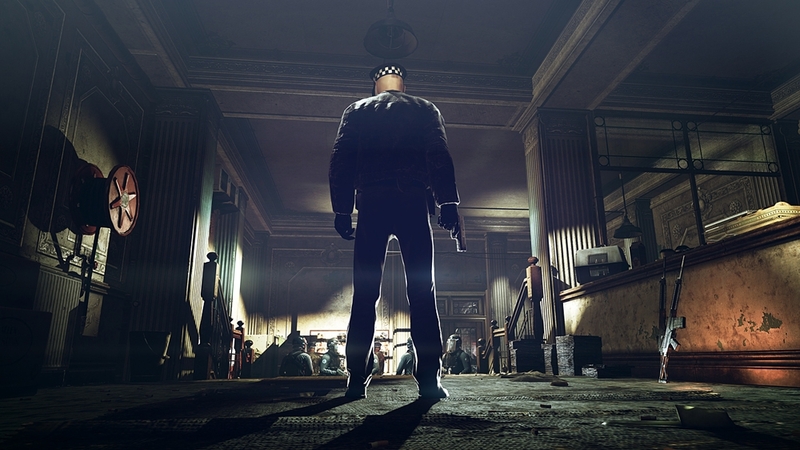 Get access to 4 disguises and 4 weapons and give yourself an edge. The Suit and Gun Collection includes 4 disguises: Deus Ex/Adam Jensen Suit, High Tech Suit, High Roller Suit, Public Enemy Suit and 4 weapons: Deus Ex handgun, Bartoli Custom Pistol, Bronson M1928 submachine gun and Krugermeier 2-2 Pistol. Agent 47’s iconic barcode but now on a t-shirt! A stylish long sleeve top emblazoned with the iconic Fleur de Lys icon. 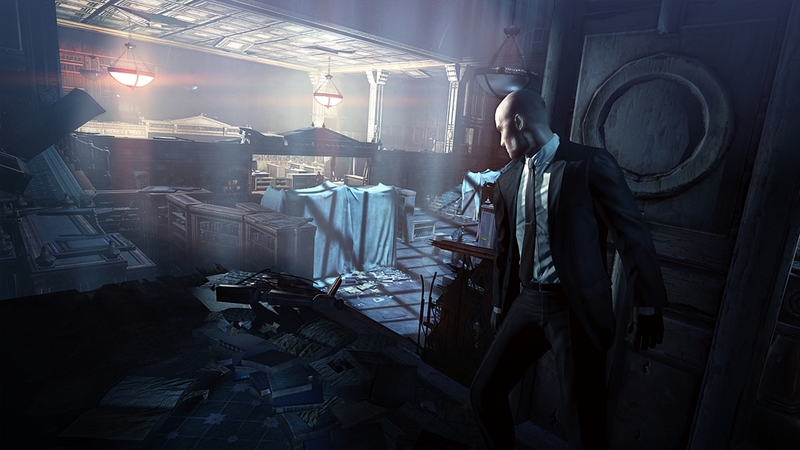 Disguise yourself as a Chipmunk – just like you can in Hitman Absolution. Get this Hitman top that was designed by Trapstar. Join the ICA with this long sleeve top. Wear the famous Hitman rubber duck - as a hat! A classic t-shirt for fans of Agent 47. The Bronson M1928 is a classic submachine gun with high fire rate and deadly stopping power. This gun is also included in the Public Enemy Pack, which is included in the Suit and Gun Collection. The Bartoli Custom Pistol is an engineered precision weapon complete with sight and silencer. This weapon is also available as part of the High Tech Pack, which is included in the Suit and Gun Collection. The Agency HX UMP is a powerful high-caliber SMG. This weapon is also included in the Agency Gun Pack DLC. The Public Enemy Disguise allows the Original Assassin to dress in a stylish Public Enemy gangster suit. This disguise is also available as part of the Public Enemy Pack, which is also included in the Suit and Gun Collection. The High Tech suit prepares Agent 47 for action with 50% increased armor. The High Tech suit is also available as part of the High Tech Pack, which is included in the Suit and Gun Collection. Dress Agent 47 in the iconic combat armor used by Adam Jensen in Deus Ex: Human Revolution and get better protection from firearms with advanced armor. This outfit is also available as part of the Suit and Gun Collection. The Agency Jagd P22G is a modern top-tier pistol. This weapon is also included in the Agency Gun Pack DLC. The High Roller suit dresses Agent 47 in a fancy tuxedo. The High Roller suit is also included in the High Roller Pack, which is also available in the Suit and Gun Collection. The Agency SPS 12 is a brutal semi-automatic shotgun. This weapon is also included in the Agency Gun Pack DLC. The Krugermeier 2-2 pistol is an accurate, reliable stealth weapon with a built-in silencer. The Krugermeier 2-2 Gun is also available as part of the High Roller Pack, which is also included in the Suit and Gun Collection. 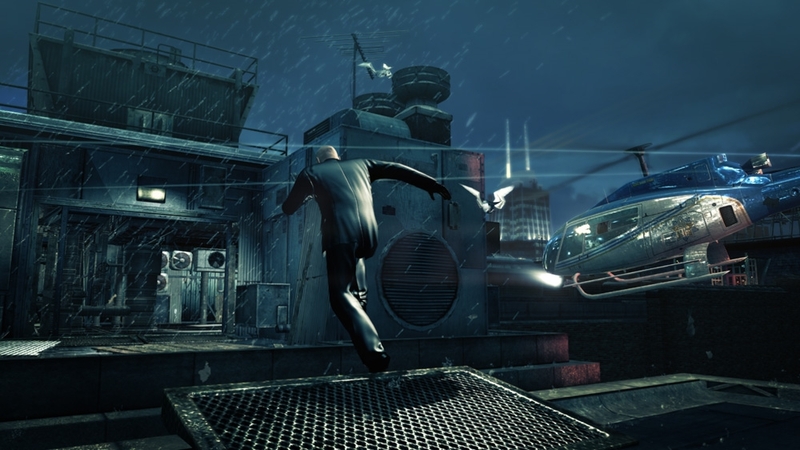 HITMAN ABSOLUTION offers freedom of choice, unique disguise gameplay and the innovative Contracts mode that lets you create your own hits by choosing the level, targets, weapons and the rules of assassination. 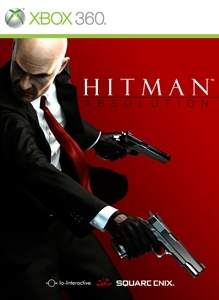 10/10 "One of the best games we have ever played" - X360 9/10 "Sublime" - Gamesmaster 9/10 "An unmissable hit" - Official Xbox Magazine HITMAN: ABSOLUTION is scheduled for release across North America, Europe and PAL territories on November 20, 2012. Show that you are the 'Original Assassin' with this new Hitman T-shirt in black. Show that you are the 'Original Assassin' with this new Hitman T-shirt in red. Show that you are the 'Original Assassin' with this new Hitman T-shirt in white.